Student-style accommodation with communal facilities could help solve London's housing crisis and regenerate urban centres around the country, according to interior designer and TV presenter Naomi Cleaver. Cleaver, who has designed numerous student accommodation projects including iQ Shoreditch in London, said that offering similar rental accommodation could provide city-centre accommodation for adults who are unable to buy their own property. "It's between student accommodation and a hotel," Cleaver said. "It solves a number of problems. It's safe and well-designed accommodation at an affordable price, but for rent rather than purchase." Cleaver is working with US developer Greystar, which operates around 400,000 properties in the student sector, private rental sector (PRS) and retirement sector, mostly in the USA and Canada. Tigg Coll Architects overhauled this east London student housing to be "more akin to a members' club"
Now Greystar is expanding into the UK and is looking to bring student-style accommodation for adult renters to the country for the first time. Other developers are also looking to build PRS accommodation with shared facilities in the UK, Cleaver said. "The people providing this accommodation are big investors who have seen the great benefits of investing in student accommodation but feel that market is going to become saturated quite soon, and feel [student-style accommodation] is going to be the next market," she said. She added: "I anticipate that PRS will be a key driver in the regeneration of cities, just as student accommodation has been." Student accommodation has boomed as a building typology in recent years, as developers tap into the demand for centrally located, well-appointed digs for foreign students. "We've got a growing international middle class who are hungry for education," Cleaver said. "That's driving the market. Their expectation is for clean, tidy, elegant and secure accommodation in a good location, so their children don't have to travel far to campus." Ab Rogers' Scape student housing, which the architect described as a "forward-thinking design language for small spaces"
The result has been a surge in student accommodation projects in cities around the UK, with students living in one- or two-bedroom studios linked to shared kitchens, lounges, study areas and other facilities. As the market starts to get saturated, student housing providers have turned to designers to give their developments the edge over rivals. Two years ago interior designer Ab Rogers completed a student housing block in east London, which he described as "a forward-thinking design language for small spaces that would appeal to a young target audience". Rogers' design features compact, prefabricated study bedrooms and generous shared facilities including two restaurants, while Cleaver's iQ Shoreditch project features common rooms, a conservatory and a rooftop lounge. Earlier this year, Tigg Coll Architects completed another student housing project in Spitalfields, London that contained a library, gallery cafe and shop and which the architects said was designed to be "more akin to a members' club than a standard accommodation block". "They are definitely starting to compete on design," said Cleaver. "As the market gets saturated you compete on every level. It's all about the environment, it's all about design. The investors and operators are starting to realise that. It's getting more competitive. It's a great opportunity for designers." However with the economic slowdown in China affecting the overseas student market, developers are eyeing up the possibility of providing similar shared apartments for non-students. "It's just starting [in the UK]," Cleaver said. "I'm working on the first one in London, in Harrow, for Greystar, and I understand there are others coming through the pipeline." Rohan Silva, former political adviser to prime minister David Cameron, told Dezeen in July that providing compact, affordable accommodation in desirable locations was vital if cities like London wanted to retain their creative workers. "Young people today interpret their quality of life differently to a generation before," Silva said. "And they want to live in the middle of the action. They want to be close cultural life and amenities like that. And they're happier actually living in a smaller unit to do that." Cleaver added: "My perception is that young people are not as absorbed by the need to own property as people of my age. That's a very interesting cultural shift and more of a European perspective." 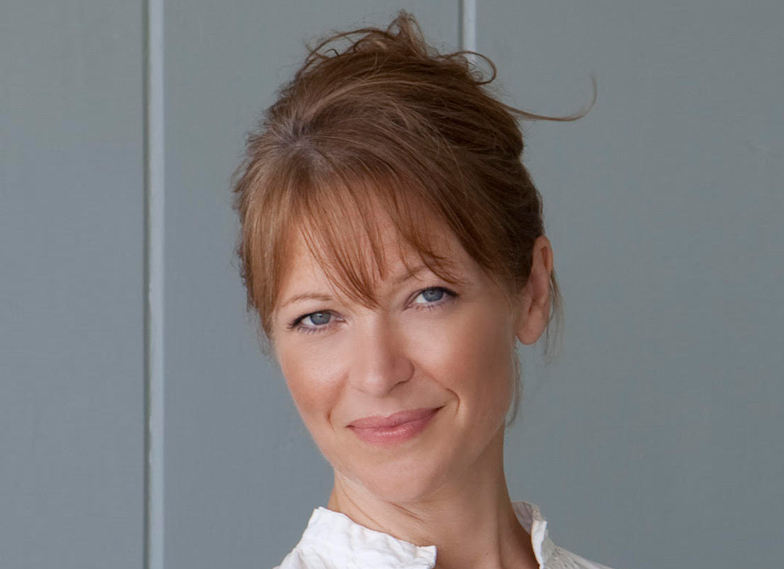 Born in 1967, Naomi Cleaver is an interior designer, design consultant and broadcaster based in London.